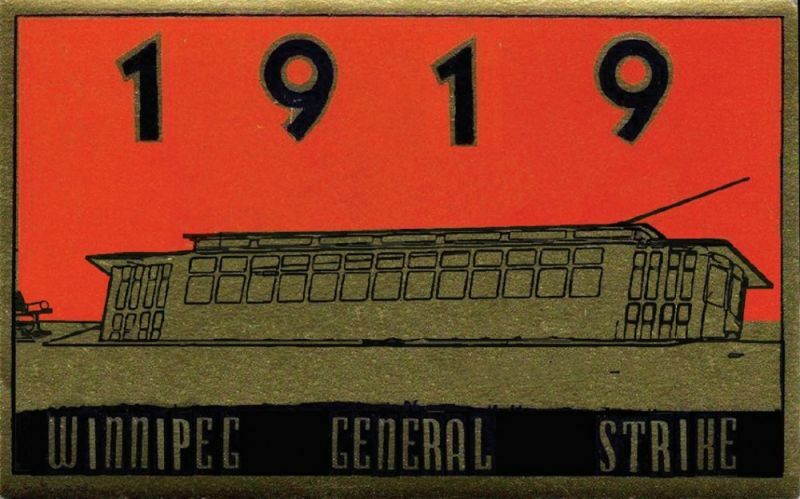 An exciting cabaret evening of theatre, music and poetry on the centenary of the Winnipeg General Strike will celebrate its historical importance and enduring relevance to a diverse range of contemporary struggles. Remembering the Winnipeg General an original play by Thomas McKechnie, performed by Heather Marie Annis and Ximena Huizi, directed by Erin Branderburg, with original music composed by Kristine Schmitt. In the play, the events of the 1919 strike are a springboard to examine the modern political moment. Toronto 1919, an original play written by Craig Heron and performed by the Toronto Workers History Project Theatre Group. This play returns to the exciting weeks of May 1919, when Toronto workers organized a general strike in support of the eight hour day. Mohammad Ali, the socialist hip-hop artist, performing ‘Solidarity Forever’ from his new album Labour of Love, a hard-hitting selection of worker’s anthems. George Elliot Clarke and Giovanna Riccio, Canada’s celebrated revolutionary poets, present powerful original works especially written for this occasion. The Afro-Metis Nation, a trio of Black and Indigenous musicians, perform songs celebrating the melding of heritage and struggle. 1919, a short experimental fictional film directed by Noam Gonick about a group of gay men who frequent a Chinese bathhouse, which just happens to be headquarters of the Winnipeg General Strike. Honey Novick, a Toronto singer and songwriter – and the daughter of the last milkman in the city to do house deliveries with a horse and wagon – will make Joe Hill ‘alive as you and me’. Mike Katz & Rick Pearson, a popular Ontario guitar folk duo, pay raucous musical tribute to Union Maids. Zing! Zing! Zing! – the participatory singing choir of the United Jewish People’s Order – will bring down the house by leading the audience in a multilingual rendition of the Internationale. Produced by the Cultural Committee of the Socialist Project and the Centre for Social Justice, and co-presented by The Toronto Workers History Project and Mayworks 2019.